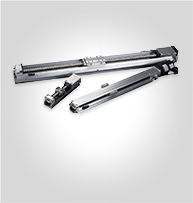 Ball & Roller systems, Guide Rail & Carriage in compact to extra-long dimensions, ready for installation. 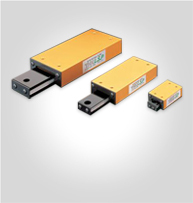 Cutting to required length is available in-house. 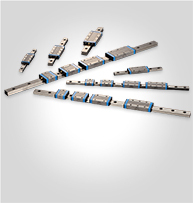 Our comprehensive range of Linear Guides is designed to ensure our customers get the accuracy and precision they require from any guide system. Micro to long stroke: Positioning Tables – Motor Drive Tables. Ball Screw Drive Tables, or specialized Rotary Tables. 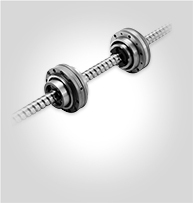 Small and compact, ball splines have external cylinders to ensure a smooth linear motion across a spline shaft. 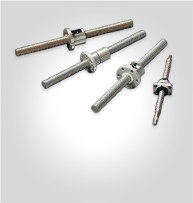 Available in Lube Free, Linear Ball Spline, Block Type and Stroke Ball Splines, with shafts ranging from 2 to 50mm. 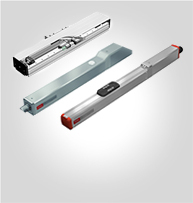 Linear Actuators for light weight or heavy duty, high force tasks, with standard and customisable stroke lengths up to 1 metre.